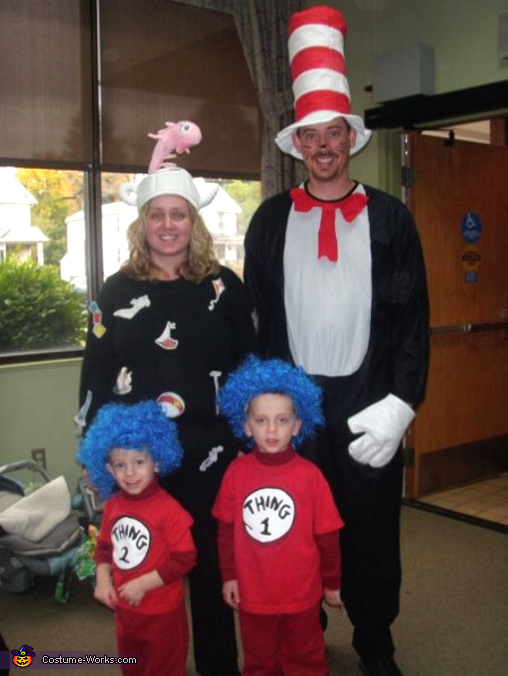 This homemade costume for families entered our 2009 Halloween Costume Contest. Dad loves to read The Cat in the Hat and other Dr. Seuss books to our two boys. While on a business trip earlier this year, he bought them Thing 1 and Thing 2 shirts. That's where the inspiration came for our costumes.